Oddly enough, with that surprise introduction of the male clones and the military based ‘project Castro’ in the closing moments of season two, the season three opener swiftly brings everyone and everything into place making it easy enough for fans like myself to know who stands where – for now. Without offering spoilers, the season three opener can be described with a few simple words ‘sweet dreams are not made of these’ as we reconnect with a kidnapped and heavily pregnant Helena adjusting to her new surroundings with the help of a little stingy friend. Sarah, Felix (Jordan Gavaris) and Kira (Skyler Wexler) are still none the wiser regarding Helena’s disappearance, Cosima (who received a stem cell transplant from Kira) looks to be on the mend, Rachel…well we know she’s one eye down now, Delphine (Évelyne Brochu) has made the move up the Dyad ladder while Alison is delving headfirst into re-instating her former social standing. it’s not long however before we find our clones doing something we all love watching them do – play each other! I’ts a general consensus that Maslany is a true talent, and it becomes cemented when we get to see her play Alison playing Sarah while Sarah plays Rachel all in the one scene. Between the clones playing dress up, the male clones wanting information, Dyad trying to hold off cleaners, Delphine being all powerful and something called ‘Helsinki’ taking place, the season three opener could feel a bit hectic and trying to juggle too much at once, but without sounding like a broken record, it actually felt very easy to follow and continued with the quality of story-telling we’ve come to expect with Orphan Black. Now it’s just a waiting game as to where this third season will take us. Orphan Black Goes Dark – Season Three News! 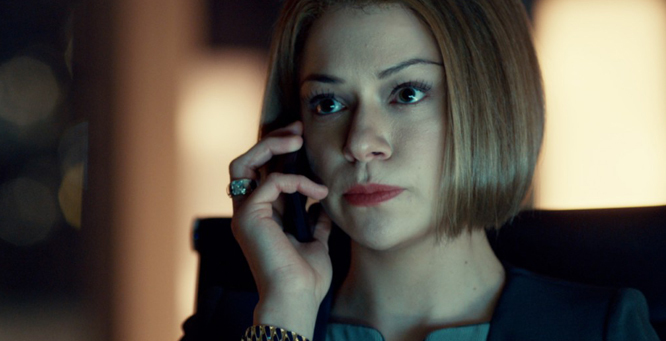 Time to unite together clone club members as our ‘sestras’ are in for a tough ride for Orphan Black’s third season with several new threats emerging from the shadows. Revealed during the show’s TCA (Television Critics Association) panel on Saturday in Pasadena, one major threat will come in the form of Rudy aka scarface – one of the male clones revealed during the final episode of season two. 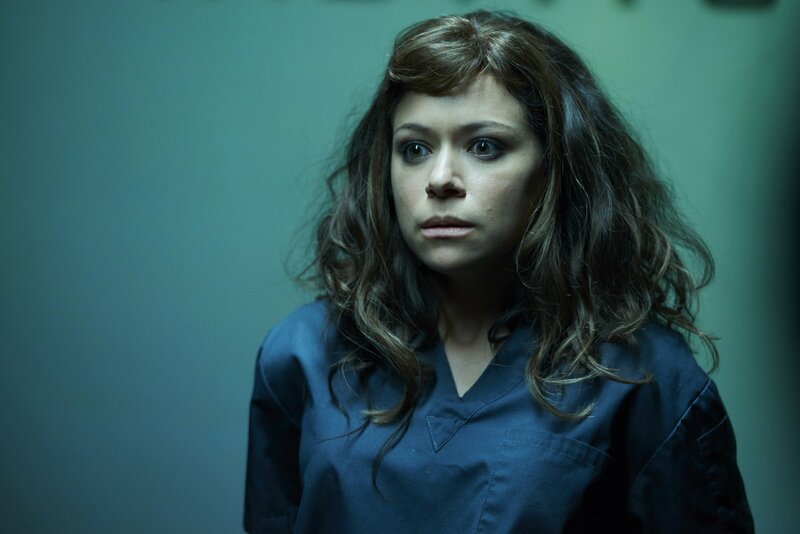 That final scene saw Sarah (Tatiana Maslany) come face to face with the crazy project castor clone, which immediately continues on in season three with the two talking and us discovering just how unhinged Rudy actually is. “He likes to get under people’s skin. He will just pick at you until you blow up and he’s won.” says Ari Millen during the TCA panel. Things also get complicated for our favorite drinking mamma Alison when an ex-flame from high school comes to visit. Played by Justin Chatwin, Alison’s ex, Jason Kellermen, is a savvy drug dealer who causes issues for Alison and husband Donnie. Fawcett also let us all in on some news about Felix (Jordan Gavaris) for season three. 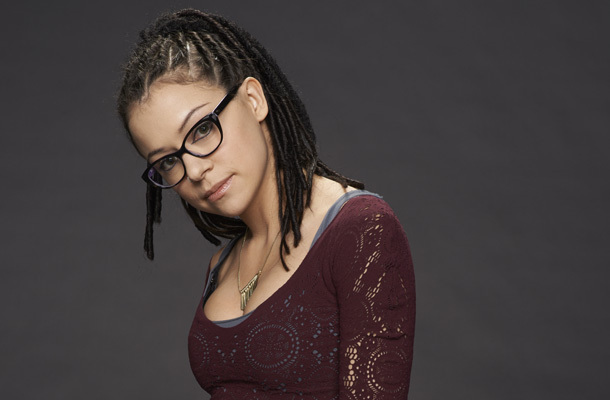 With the popularity between Felix and Alison played up during season two, we can expect Felix to connect with some of the other clones – namely Cosima who will be spending most of her time recovering in Felix’s apartment. No word on what to expect with Helena, one eyed pro-clone Rachel, Mrs. S, Kira or any of the other side characters currently floating around the clone universe. Orphan Black returns Saturday April 18th on BBC America in the US with airings expected to start shortly after on SBS 2 in Australia. 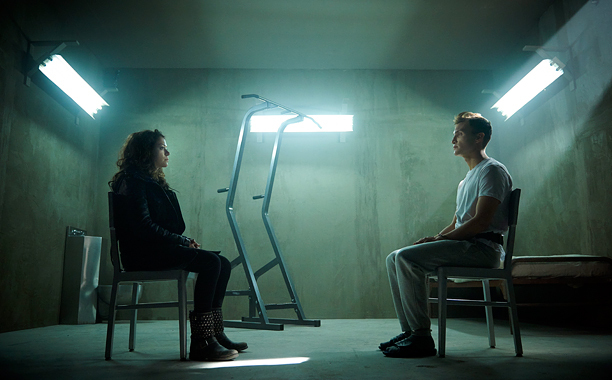 Orphan Black Season 2 Continues to Shine. It’s only been a few short weeks since the end of the awesome Orphan Black season one which aired on SBS2 (thank you!) and now, on Tuesday night, our memberships to the ‘Clone Club’ will earn a gold star as Sarah, Cosima, Alison and the rest of the characters return to our screens for a kicker brand new season. Season one was all about who the clones were and now, season two will look at who created the clones and just who is the original clone. When we last checked in, Sarah Manning (Tatiana Maslany) was standing at her daughter’s bedroom window with the realization that Kira had been kidnapped and needless to say, when Orphan Black returns on Tuesday night, no time is left wasted as Sarah blasts into overdrive to find her kidnapped daughter. We are literally back with Sarah as she was when we first met her in season one, on the run and separated from her daughter, but this time round the stakes are much higher as we (the viewers) are utterly and wholly invested in Sarah and Kira. The opening scene alone is filled with so much tension and action – and there’s only four characters involved – and we only know one of them…it’s the perfect opening to continue the head first ride we were dragged along with the first season. Where the emphasis on Orphan Black’s first season was to identify and individualize each and every clone, we’re now in a comfortable enough place with the clones to focus on developments of certain outer characters in Sarah’s life including Paul (Dylan Bruce), Felix (Jordan Garvais) and Leekie (Matt Frewer) thus closing a glaring void that was very evident in the shows incredible first season. Felix was the witty sidekick to Sarah’s urban grit, Paul was the ‘is he bad? Is he good?’ guy and Leekie was your stock standard evil genius who was up-to no good but now that Cosima and Alison and the other clones have been so clearly identified we’re allowed a glimpse into these side players that are playing a bigger part in Sarah’s world than we could have ever imagined. But this is not to say there will be any less focus on our favorite clones. We’ll start to see dynamics change between the three main clones – Sarah, Alison and Cosima, who all find themselves dealing with the fallout of their actions from season one. Alison is trying to move on with her life, trying to repair her image within her picture perfect white picket fence neighborhood, Cosima is torn between her love for Delphine and trying to find a cure to her illness while Sarah wants answers….but it she looking in the right direction? Continuing in this second season, is the subtle touches of intentional light humor scattered among each episode. From Alison’s shining moment in a community theater production to Felix’s positively on spot outfit choices to a moment between Sarah and a child on a bus – it’s evident these glimmers of light have become an integral part of the show allowing a slice away from the full force of darkness and intensity. 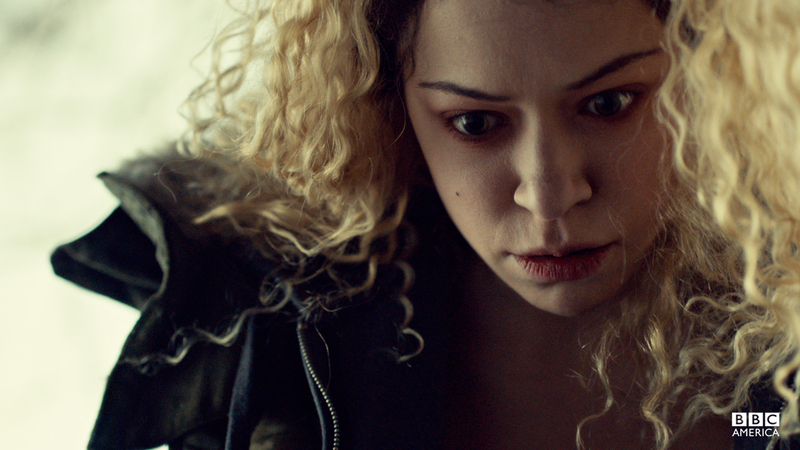 Orphan Black never really stopped hitting all the right marks in season one. 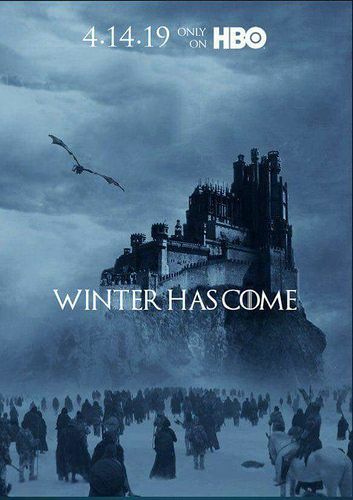 There was always something happening, something being revealed, something to grab your attention and force you to watch the next episode and after watching the first four episodes of season two, this fearlessness to give doesn’t stop. Orphan Black season 2 begins Tuesday Night, 8:30pm – April 22nd on SBS 2 or for those who can’t wait till then, is now available via SBS on demand now! It’s here! After several teaser videos via the BBC America Instagram account, the network have finally released a first look trailer of what’s coming up in the highly anticipated second season of Orphan Black. From action, romance, kidnappings, knife fights…this trailer has got a lot of members of the clone club excited! Card carrying members of the clone club can rejoice! Orphan Black’s long awaited season 2 air date has finally been announced! Bad news is that we will have to wait until April 19th next year before catching with Sarah and her clones. The official synopsis of season two states: Season 2 of the series hits the ground running with Sarah (Tatiana Maslany) in a desperate race to find her missing daughter Kira (Skyler Wexler, Carrie). Her scorched earth tactics spark a war with pro-clone, Rachel (Maslany), dividing and imperiling all the clones. As Sarah discovers more about her past, mysterious newcomers appear, but can they be trusted? 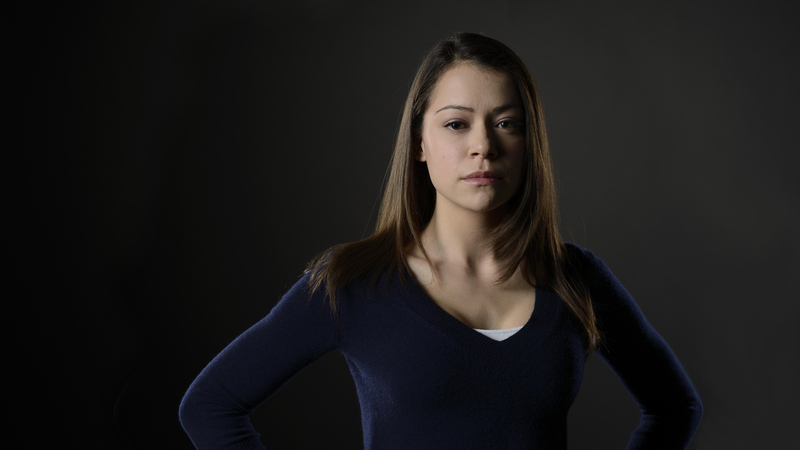 Orphan Black season 1 is set to air for the first time in Australia on SBS2 in early 2014. Finally! I can happily say one of – if not the best new shows to air this year – BBC America’s sci-fi action drama Orphan Black is FINALLY coming to our screens and it’s thanks to SBS2 it was announced yesterday. SBS2 also announced they will be airing slow-tracked episodes of The Walking Dead (the first on free-to-air in Australia) starting from season 1. For those who are not in the loop, Orphan Black has been touted as literally one of the best new shows of 2013 and has generated a slow burn cult following that now has many many people (myself included) hanging for more. The premise of Orphan Black see’s a down-on-her-luck Sarah Manning (the incredibly talented Tatiana Maslany who was clearly robbed of any sort of acting nomination) who’s life changes dramatically upon witnessing a woman of similar appearance to her, jump in front of an on-coming train. Before she knows it, Sarah’s life is turned upside down and will never be the same again! The show is incredibly fast-paced. We learn something new with each episode, but end up with more questions (just to keep us hanging) and every single episode keeps smashing along with a bang while introducing an interesting array of characters, each with their own personalities that you’ll either love, hate or love to hate! You’ll find yourself questioning who can and can’t be trusted! Without spoiling too much, the theme of human cloning is the basis of this series. The Walking Dead most of us know and love and i’m not going to rattle on too much about it, but for those, like me, who originally tried to watch the show when it first began and couldn’t understand the mix of drama and zombies, then this is the perfect opportunity to give it a second shot. For those who have already seen it, this is a great chance to relive those classic first episodes! The Walking Dead is slated to start Tuesday November 19th on SBS2 (Check your local guide for times) while Orphan Black begins early 2014 on SBS2!! Mix the drama of Alias and Ringer with the action of Nikita and you have BBC America’s new action/drama/sci-fi show – Orphan Black. The show follows Sarah, an outsider with personal and financial issues trying desperately to turn her life around only to have it completely change after witnessing the suicide of a woman who looks identical to her. Sarah assumes the woman’s identity, bank account and boyfriend, only to find, this new identity may have more issues than her own. The street smart Sarah must think on her feet as she’s thrust into an unknown world where she makes the startling discovery that she may actually be a clone, and if so, how many copies of her are there? Sarah quickly finds herself caught in The middle of a deadly conspiracy and must race to find answers about who she is and how many others there are just like her. While there are no ‘known’ actors in this show, it’s fast paced, well acted and will have you on the edge of your seat wanting more! 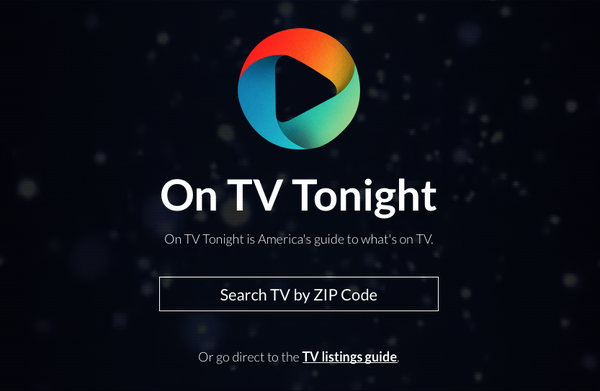 ‘Orphan Black’ is yet to premiere on Australian screens, but currently airs on BBC America, Saturday nights, in the US.